No action was taken either by Congress or the Sultan for over two years. The Americans, preoccupied with the war against Great Britain, directed their diplomacy at securing arms, money, military support, and recognition from France, Spain, and the Netherlands and eventually sought peace with England. Moreover, Sultan Sidi Muhammad and more pressing concerns and focused on his relations with the European powers, especially Spain and Britain over the question of Gibraltar. From 1778 to 1782, the Moroccan leader also turned to domestic difficulties resulting from drought and famine, and unpopular food tax, food shortages and inflation of food prices, trade problems, and a disgruntled military. Barclay left Paris on January 15, 1786, and after several stops, including 21/2 months in Madrid, arrived in Marrakech on June 19. While the French offered some moral support to the United States in their negotiations with Morocco, it was the Spanish government that furnished substantial backing in the form of letters from the Spanish King and Prime Minister to the Sultan of Morocco. After a cordial welcome, Barclay conducted the treaty negotiations in two audiences with Sidi Muhammad and Tahir Fannish, a leading Moroccan diplomat from a Morisco family in Sale who headed the negotiations. The earlier proposals drawn up by the American commissioners in Paris became the basis for the treaty. While the Emperor opposed several articles, the final form contained in substance all that the Americans requested. When asked about tribute, Barclay stated that he “had to offer to His Majesty the friendship of the United States and to receive his in return, to form a treaty with him on liberal and equal terms. But if any engagements for future presents or tributes were necessary, I must return without any treaty.” The Moroccan leader accepted Barclay’s declaration that the United States would offer friendship but no tribute for the treaty, and the question of presents or tribute was not raised again. Barclay accepted no favor except the ruler’s promise to send letters to Constantinople, Tunisia, Tripoli, and Algiers recommending they conclude treaties with the United States. Shortly after the Sultan opened his ports to American ships, he appointed Stephen D’Audibert Caille, a French merchant in Sale, to act as consul for all countries which had no consular representation in Morocco. In late 1779, Caille, acting on instructions from the Sultan, wrote to the American Congress through the American Commissioner in Paris, Benjamin Franklin. The letter informed Congress of the Sultan’s appointment of Caille as Consul and also stated Sultan Sidi Mohamed’s desire to conclude a treaty of peace with America. On November 28, 1780 Con- gress directed Franklin to correspond with Caille and assure him that the United States wanted to “cultivate the most perfect friendship” with the Sultan and that the United States would like to negotiate a commercial treaty with Morocco. In May 1784, the American Commissioners in Paris, Benjamin Franklin, John Adams and Thomas Jefferson, were authorized by Congress to conclude treaties of friendship and commerce with Morocco, Algiers, Tunis and Tripoli. In 1785, Thomas Barclay, the Consul General of the United States in Paris was appointed to travel to Morocco and conduct the negotiations. During his rule, Sultan Sidi Mohamed faithfully abided by the terms of the treaty. However, the struggle for succession which followed his death in April 1790 caused President Washington and his Secretary of State Thomas Jefferson to be concerned. Both men recognized the importance of peace with Morocco and quickly acted to obtain the new Sultan’s off irmation of Moroccan commitment to the treaty. As Jefferson told Congress, “…the friendship of this power is important because our Atlantic as well as Mediterranean trade is open to his annoyances and because we carry on useful commerce with his nation.” To maintain the peace, Barclay was again appointed to negotiate with the Sultan and given the title of Consul. Unfortunately he died in route and was replaced by James Simpson, the American Consul at Gibraltar. James Simpson was successful in getting Sultan Moulay Suliman to reaffirm Morocco’s commitment to the Treaty of Marrakech. The Sultan wrote a letter to President Washington in which he conveyed his commitment to the Treaty of Friendship saying “… we are at peace, tranquility and friendship with you in the same manner as you were with our father who is in glory. Peace.” Sultan Suliman admired the American people and said so publicly. As he told Consul Simpson ” … the Americans, I find, are the Christian nation my father most esteemed … I am the same with them as my father was and I trust they will be so with me.” With good relations thus reaffirmed, Simpson was appointed consul to Morocco and took up his post in Tangier in 1797. In 1835, with the 50 year term of the Treaty of Marrakech about to expire, President Andrew Jackson dispatched James R. Leib to secure a renewal of the treaty with Sultan Abderrrahman. To this end, Lieb was directed to secure greater privileges for American Ships and to marked every effort to insert a clause providing that, except on a twelve month notice bey either party, the treaty would remain in effect indefinitely. Again negotiations went smoothly with the Sultan and the Treaty was renewed with the changes requested. The treaty, with the original text in Arabic, was signed in Meknes on September 16,1836, endorsed by Leib in Tangier on October 1, 1836 and was officially proclaimed on January 30, 1837. As Lieb noted in his report to the Department of State, one of the most remarkable features of the negotiations was that the treaty was sealed by the Sultan on the basis of friendship, without any stipulations and before the presentation of gifts. In January 1943, Churchill, Roosevelt and Degaulle met for four days in the Casablanca suburb of Anfa to map out strategy for the war. The Anfa Conference is significant because it marked the moment when the Allies first agreed on the demand for the “unconditional surrender” of the Axis powers. Following World War Two, and after more than a decade of struggle, Morocco attained its independence from France in 1956. Upon the return of the Sultan from exile in 1955, President Eisenhower had sent him a special message expressing his hope that the new reign would “…restore peace and prosperity which the United States so deeply desires” to the Moroccan people. When Morocco finally broke free from the French in 1956, President Eisenhower again sent a message this time through his diplomatic agent in Morocco, Julius Holmes congratulating Morocco and saying “…My government renews its wishes for the peace and prosperity of Morocco, and has asked me to express its gratification that Morocco has freely chosen, as a sovereign nation, to continue in the path of its traditional friendships.” In return, the Sultan affirmed that the Treaty of 1836 would continue to be honored and stated Morocco’s support of a common policy against communism. 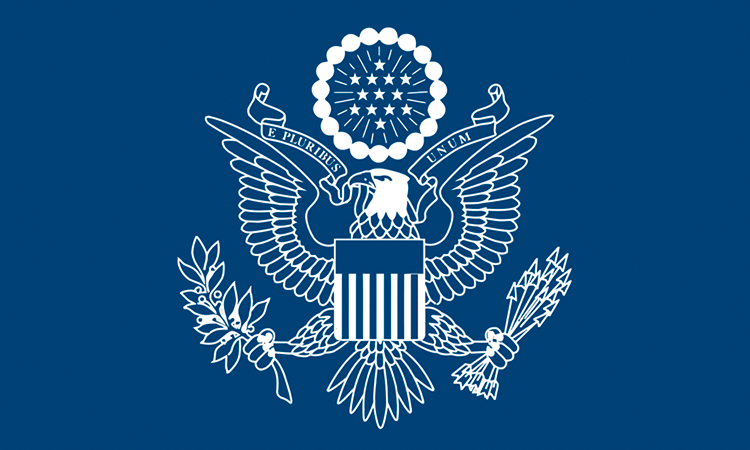 In recognition of the soverign and independent status of Morocco, the United States raised the level of its representation in Morocco from Diplomatic Agent to Ambassador. On July 21, 1956, the Senate confirmed Cavendish W. Cannon as the first U.S. Ambassador to Morocco. On September 5, 1956, the newly appointed Moroccan Ambassador to the United States, Dr. El Mehdi Ben Mohamed Aboud, presented his credentials to President Eisenhower, and on October 6, 1956, Ambassador Cannon took up his post in Rabat thus establishing full diplomatic relations between our two countries. Over the past three decades, U.S.-Moroccan relations have been characterized by mutual respect and friendship. Ties between our two nations have been cultivated through visits by high-level government officials. This free exchange of ideas between U.S. and Moroccan leaders began in November 1957 when the Sultan made an official visit to the United States where he met with President Eisenhower. Less than two years later, then Vice-President Nixon travelled to Morocco where he too discussed improved bilateral cooperation between the two countries with Sultan Mohamed V.
The relationship continued to grow closer following the death of King Mohammed V in 1961. His successor, King Hassan II, visited the United States several times, and met Presidents Kennedy, Johnson, Carter, Reagan, Bush and Clinton during his reign. King Mohammed VI first met President Clinton at the funeral of King Hassan II on July 25, 1999.; As Crown Prince, King Mohammed VI visit the United States several times. His visit on June 20, 2000 marked his first trip to the United States as King.